Start your next event in the City of Five Flags with a bold statement with the Pensacola Invitation. This invitation features beautiful blue tones and impressive jets in formation, with plenty of room for your event details. 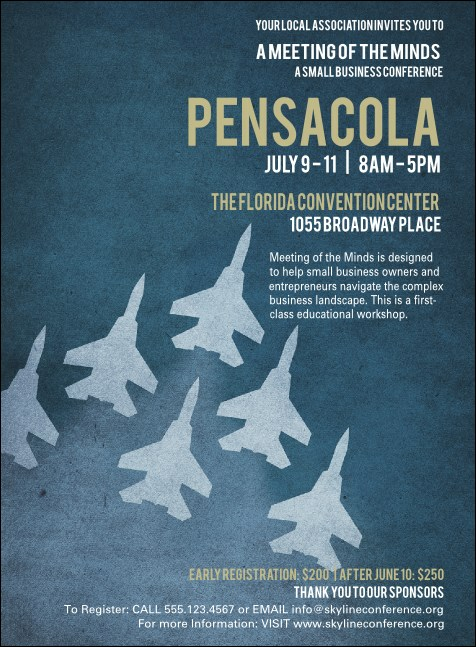 Whether you're hosting a concert, conference, or fundraiser, get that guest list going with the Pensacola Invitation. Guests go from Maybe to Yes with the right invitation from TicketPrinting.com.